A google friendly hybrid between a mobile app and mobile website. The Mobile AppSiteTM requires no download and costs pennies in comparision to a mobile app. 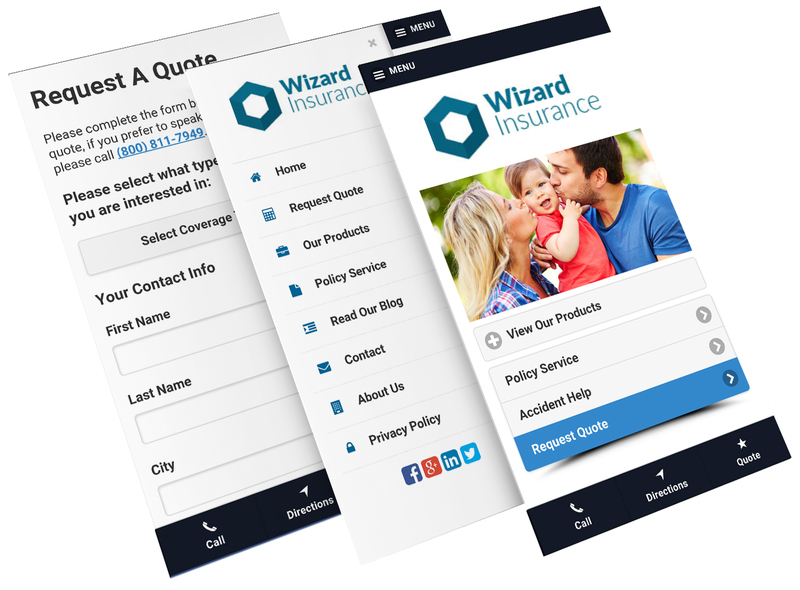 It is an optimized version of your insurance website that creates a unique and streamlined experience for smartphones users by making it easier to navigate and interact with your business while on the go. The Mobile AppSite changes the presentation of your content the same way a mobile website would but also includes the functionality of a mobile app like click to call, on demand directions, and more. Awesome mobile features:An optimized experience for Andriod, iPhone, and Windows smartphone users. The monthly fee includes hosting, software updates, website maintenance, and auto syncing with your desktop site (if applicable). How will people find my Mobile AppSite? 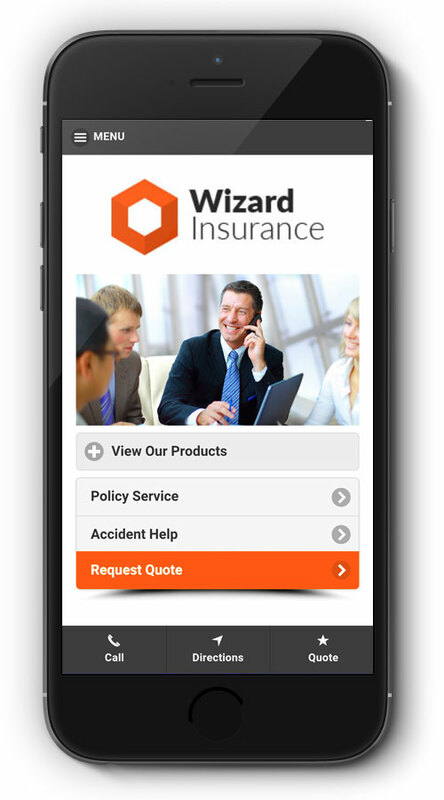 Once configured, your website will automatically detect smartphone users and display the Mobile AppSite to them. I dont have a desktop site. How can I get one? If you need a mobile website we recommend that you purchase one of our Desktop & Mobile packages. My desktop site was built by/hosted with someone else. Can I still use this service? Yes, as long as you are able to provide us with access to your website’s control panel and domain account to complete the install.